When you are running a business, marketing is an essential factor for growth. With the aid of video marketing, business ideas can be properly explained and potentials find it easier to understand your services and strategies. 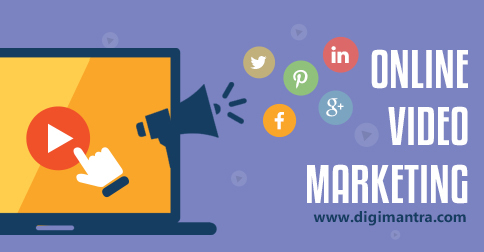 There are certain guidelines on how to do video marketing which will help you understand the plans and techniques. These tips will help you with a better dealing with clients and enhance your marketing and promotion aspects. At the initial stage, you might be shy to record your marketing video. Or there might be several feelings like how the client would react or do I look perfect in it? To start off, you need to be fully professional and confident near the camera. Your first take might not be perfect so you need to do it again and again to bring out the perfection. Practice on demonstrating your own product as if you are physically marketing it to your client. You will also find similar videos on the web or YouTube to take an idea about video product demonstration. Use screencasts to show your product. It lets you focus on the interface. Reach out to prospects with your videos and offer them something by exchanging their name and email addresses. You can offer a service or any product for free to find out what your customers exactly needs or how they feel about it. Tell about you and your company to your customers and embed the video on a page with an opt-in form. You can also provide options to share your video in social networking sites like Facebook, Twitter, Linkedin, etc. To increase the number of leads, you need to post videos on interesting topics. Customers are more likely to get bored of the regular subjects which tell the same story. So you need to add spice in your videos with some brainstorming ideas and exciting topics. Music, presentation, interviews and showing the before and after scenes from live events often help a video to get successful. For instance, you can watch the videos of ‘Behind the TedTalk 2010’ to see how wonderfully they are shot. Video presentation often impresses the prospect due to its good quality recording and it reflects your product’s characteristics. Thus, web video marketing needs a lot of effort to be perfectly presentable to your clients. Since this is the latest way to market a product, you should focus on the perfection that will help your company grow. 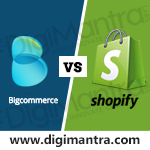 BigCommerce Vs Shopify: Which Online Store Builder Should You Choose?